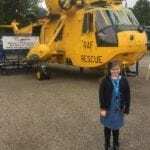 MORAY’S PREMIER SCIENCE and aviation attraction is about to get even more interesting, with the arrival this week of a Wessex helicopter. 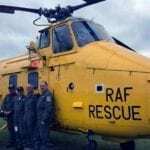 The perfect partner for Morayvia’s existing Sea King, the Wessex preceded and even overlapped the iconic Sea King in serving with both the RAF and Royal Navy. 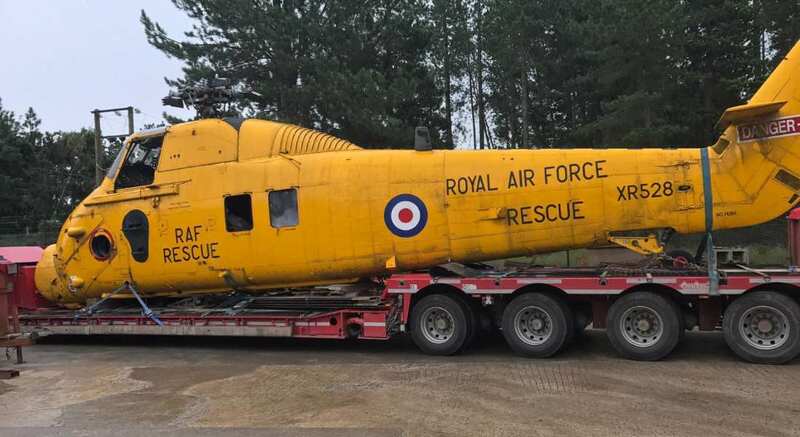 Wessex XR528 took a leisurely road trip to Kinloss where it will eventually be placed alongside the Sea King – but not before the dedicated volunteers at Morayvia have spruced it up ready for the waiting public. 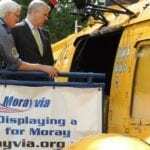 Stan Barber, Morayvia’s CEO, said that new arrival was testimony both to the hard work of the volunteers but also the willingness of the public in Moray to support the attraction. Morayvia’s latest acquisition this week – and above, flying from the deck of a US carrier. Transporting the Wessex to Moray was again a major undertaken – but made much less so by the services of Limehillock, who made it possible by providing two drivers and a low-loader who set out on Monday to collect the latest prize exhibit. 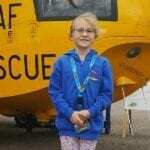 XR528 saw service at RAF Benson, RAF St Mawgan, RNAS Culdrose and RAF Leuchars. 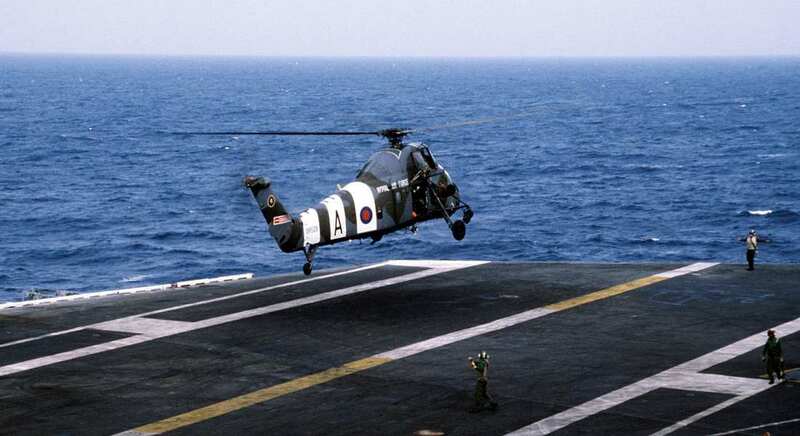 It also had the honour of landing on the carrier USS Medway while serving with 28 Squadron in 1982 (see pic). The Wessex will not be seen in public again until next year – by which time the team will have her looking as sparkling as her sister Sea King.